Smart phones today are ubiquitous. From calculators and address books to music and gaming, many gadgets have converged into today's smart phone. Android has particularly become very wide spread because of the wide range of devices available. 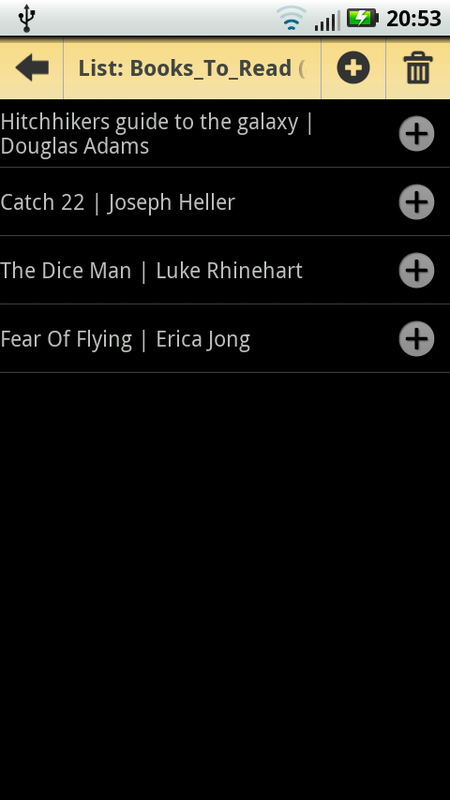 The versatile lists application is an Android app called "My Lists" that we have developed. We developed this application after trying out many existing list apps in the market. What we found missing in all of them is the ability to define our own list types. 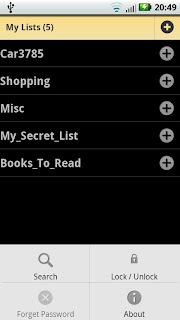 Maintain customizable lists of items. You decide attributes for each list - completely customizable. 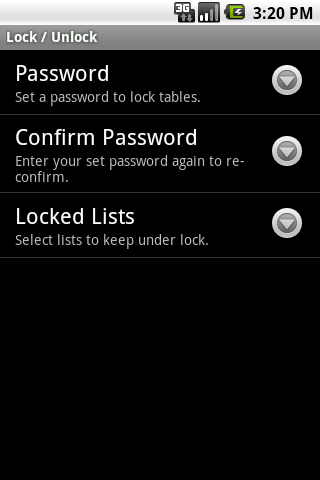 Lists can be password protected - keep things away from prying eyes. 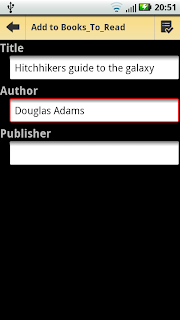 Search your list directly from Android search box. Mark entries with different colors with a long press on the entries. Easy to use interface with large buttons. 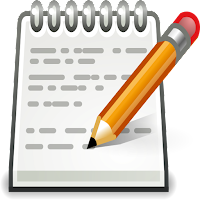 Use it for shopping lists, to-do lists, trip expenses, short notes, interesting books/movies/music albums that you wish to check out. Unlimited lists, and unlimited items in each list. No ads in the app and absolutely free! 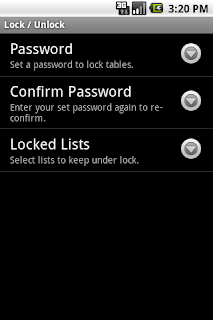 Works on all versions of Android starting from Android 2.1 (Eclair). 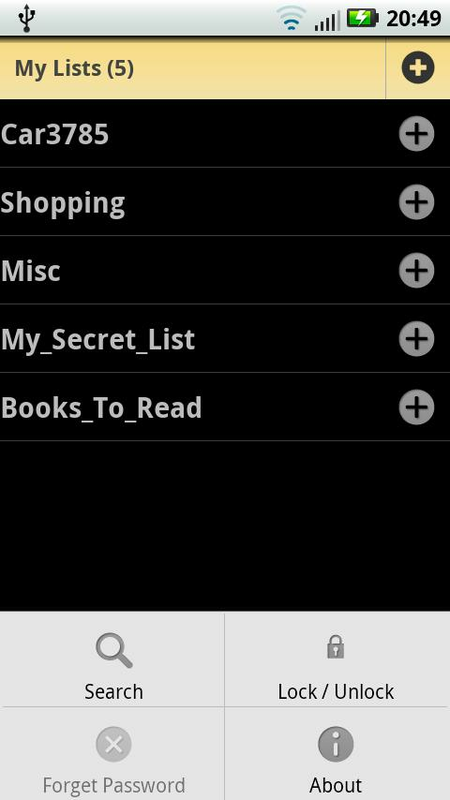 "My Lists" is available free on the Android market. Search "My Lists" in Android market. 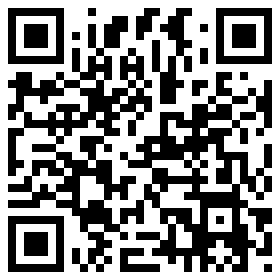 If you have a QR code reader on your phone, scan the QR bar code on the left. If you are on a PC, click here to visit the "My Lists" page on Android market. Feedback and suggestions are welcome! 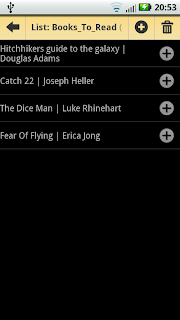 @Bindu Thanks and yes, will post a couple of more apps soon.